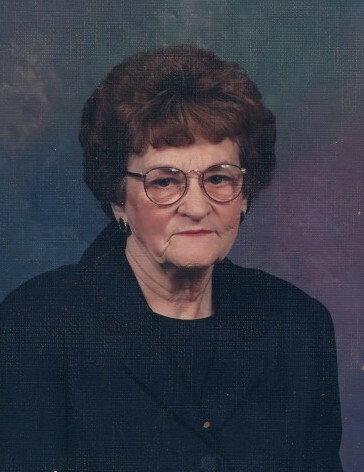 Mrs. Eunice Barbour Caudill Young, "Ma", age 96, died on Saturday, February 9, 2019, at UNC Johnston Health in Clayton. Funeral Service will be 3:00 PM Wednesday, February 13, 2019 at Beulah Hill Christian Church, Four Oaks. Rev. Sam Blackman will officiate. Burial will follow in the Four Oaks City Cemetery. Ma was born on December 5, 1922 in Johnston County to the late Joe B. and Eva Adams Barbour. She was preceded in death by her husbands, Edward Lee Caudill and Riley Edwin Young; sisters Marjorie Lamm and Catherine Hill. Ma retired from the textile industry, was a homemaker and member of Beulah Hill Christian Church. Surviving include her children, Carolyn Hudson, Barbara Rhodes and husband Larry, Donald Caudill and wife, Faye, and Dianne McLamb all of Four Oaks; grandchildren, Kim Underwood, Lisa Durham, Lana Wyatt, Todd Rhodes, Tara Jernigan, Jamey Edward Caudill, Jeffery Don Caudill, Chris Adams and Tammy Norris; nineteen great-grandchildren and one great-great-grandson; brother-in-law, Carl Lamm and sister-in-law, Betty Young; many nieces and nephews and her beloved companion "Baby"
The family will receive friends from 1:00 PM-2:45 PM on Wednesday, February 13, 2019, in the fellowship hall at Beulah Hill Christian Church, 1701 Keen Road, Four Oaks, NC 27524 and other times at the home. Flowers are welcomed; however, memorials may be made to Beulah Hill Christian Church 1701 Keen Road, Four Oaks, NC 27524 or to the SPCA of your choice.